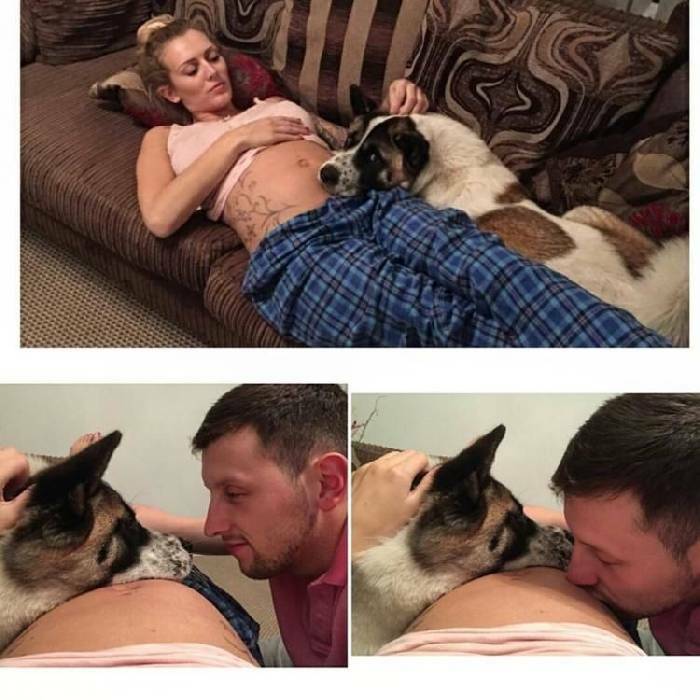 Alhanna and fiancé Ricky lives in Doncaster, South Yorkshire with their son Lincoln and dog Keola. Dogs are indeed man’s best friend. They are the best companions and are always there for us when we need them. They love their family unconditionally and have an intuitive sense that places them emotionally above other animals. When Alhana was pregnant, she had severe pain in her lower back. She went to doctor for diagnosing, but the doctor returned her stating it a mere side effect of pregnancy. She returned home and continued with her daily routine, but she was not feeling well and Keola can sense it. She cares for her and remain close to her whole day but freak out when she does any work. She never did this before. Alhana listened to her dog and went straight to the hospital. She was taken to the intensive care hurriedly and came to know that she is a very critical condition. She came to know that she had a rare infection of a double kidney, also she had an antibiotic-resistant bug that could take her life. If she was late, and no medical treatment was given, the mother and child would be no more. The dog saved both lives. Dogs can sniff some disease. Some dogs are trained to detect skin cancer. Some can even detect prostate cancer just by smelling urine. Dogs have incredible abilities. Alhana’s story can be a coincidence or the dog have really smelled the problem with her owner. LincoIn and Keola are best friends even after so many years and have developed an instant strong bond right after his birth.